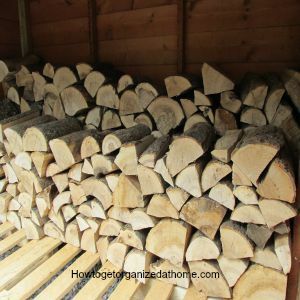 You might think that organizing a wood store is a step too far, but in practice if you organize your wood store, not only does it make it easier to get the wood out, it also ensures that you keep it as dry as possible. I purchase kiln dried wood because I don’t have the space to season wood, so the wood that I purchase is burnable this year. I purchase in bulk too, as this saves me a lot of money rather than buying individually. I get this delivered once a year and this lasts me for the entire winter, so I am able to have added heat when it is cold. It is really simple and straightforward. 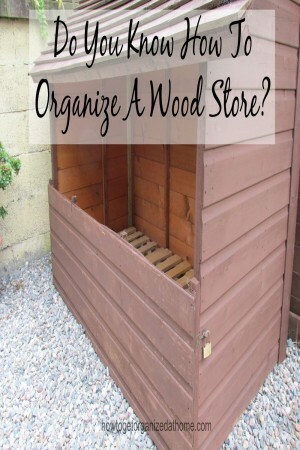 However, if you need to have easy access and to keep your wood dry, then you must consider how you organize your wood store to get the most space for your wood, at the same time ensuring that you keep the worst of the elements off the wood, too. Prepare the wood store in advance. 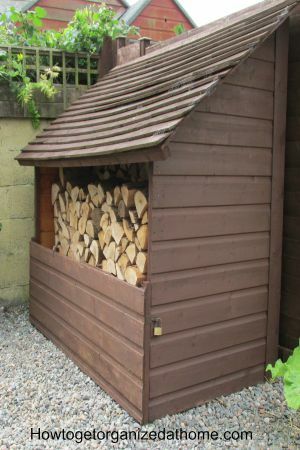 We have two wood stores; one is a solid based plastic store that we use to keep the overflow wood; it isn’t big enough for the bulk of the wood. 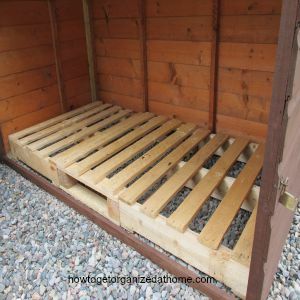 We have our main store, which we made out of an old shed; the base is some old pallets so they keep the wood off the floor and a door that prevents the rain getting at the wood. We choose to get our wood delivered once a year and it is kiln dried so it is possible to burn it straight away. Unseasoned wood is not as burnable; there is too much moisture in the wood. 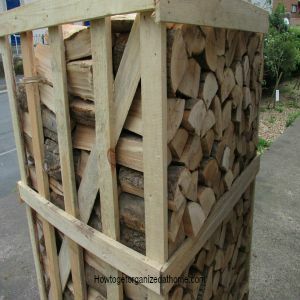 The wood is on a pallet and unfortunately, it isn’t possible for the wood to move to the wood store with the palletiser that the lorry driver uses, the path is too narrow. The only option is to unload it and wheel it round to the back. I stack the wood in rows, this makes it easier to get at and it means that we are able to ensure that all the wood fits. If it isn’t stacked properly it doesn’t all fit into the two wood stores, this was a mistake I made the first year we ordered wood. 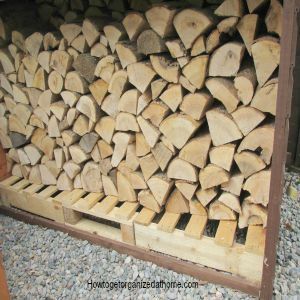 By taking our time and stacking the wood in neat rows, it looks good too. It means the access of the wood is simple and this is important when it is cold, wet or snowing when we need to grab some more wood for the fire. 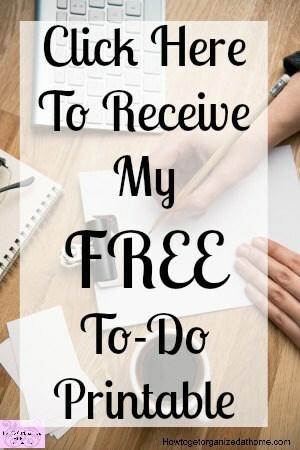 I am able to buy the wood cheaply and in bulk, saving me money; each month I put money away for my wood order and it means that I have it ready when I need to place the order. This is something we do every year and it does get easier as you begin to see the best pattern for your own circumstances, if your wood is different sizes stacking might be more difficult, you just have to work out the best option for yourself. It is about finding what works for you; it is about adapting ideas so that you can work out the best methods for you and your family. If you are looking for more articles on this topic then head over to the landing page where you will find links to other post on gardening.